Whisk together 2 TBS matcha powder & 1 cup of hot water. 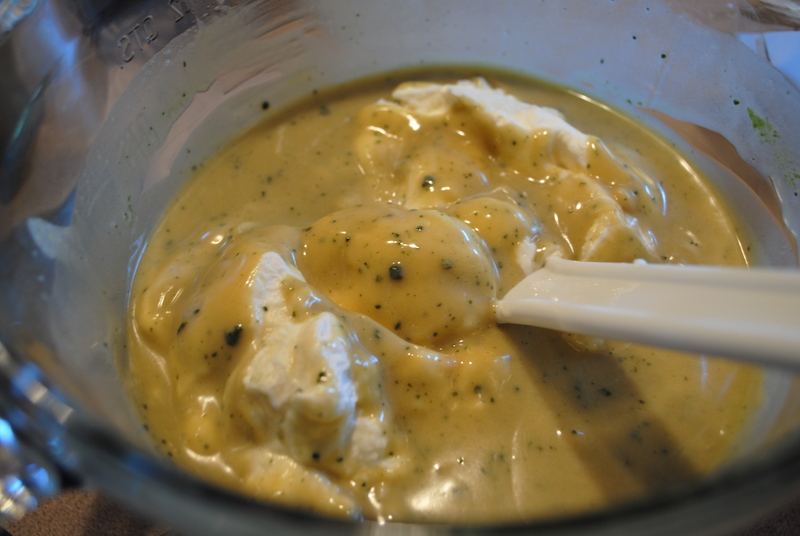 Beat egg yolks over a double-boiler for 6 minutes, add sugar, vanilla & 1 TBS powdered matcha. Continue to beat over heat for 5 minutes or untill well blended, then remove from heat. Beat in marscapone. In a separate bowl, beat heavy whipping cream & 2 TBS matcha until stiff peaks are formed, and mixture is the consistency of whipped cream (electric mixer works best). 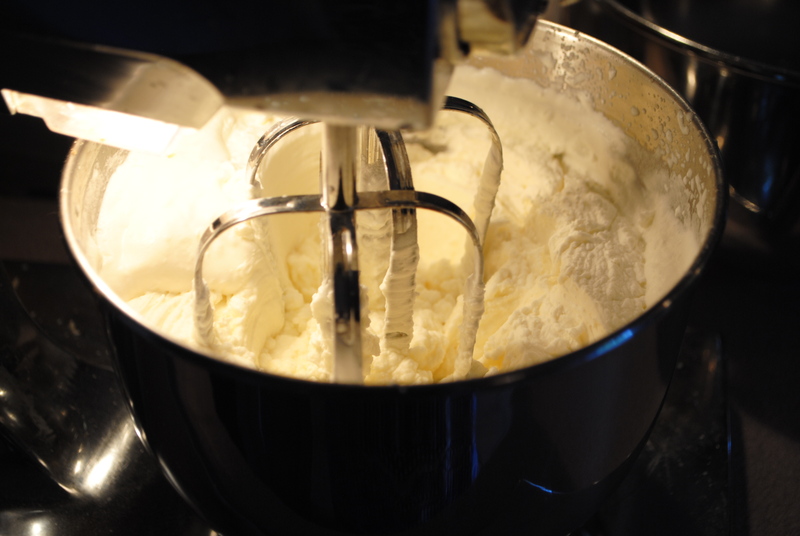 Fold whipped cream mixture into the marscapone egg mixture. Don’t over stir, or you’ll loose the fluffy consistency. 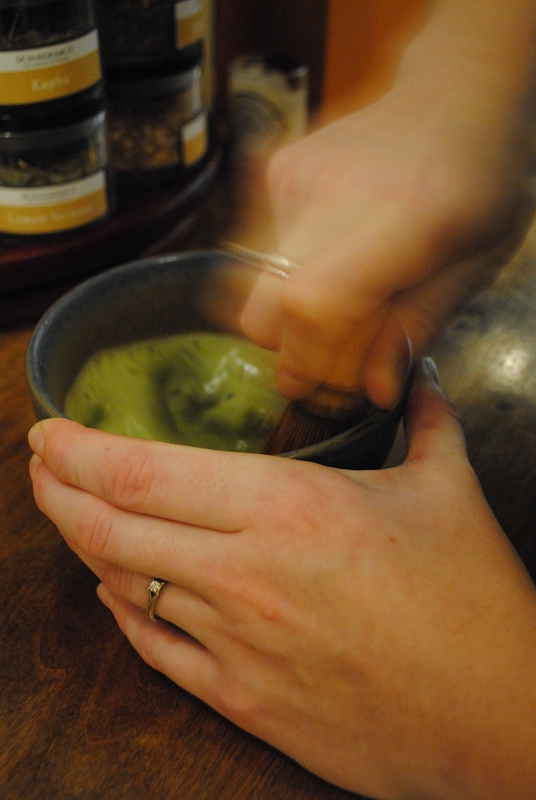 Dip lady fingers into the matcha tea mix that was made at the start, allowing each lady finger to become fully saturated. Place 1 layer of lady fingers on bottom of pan or dish. 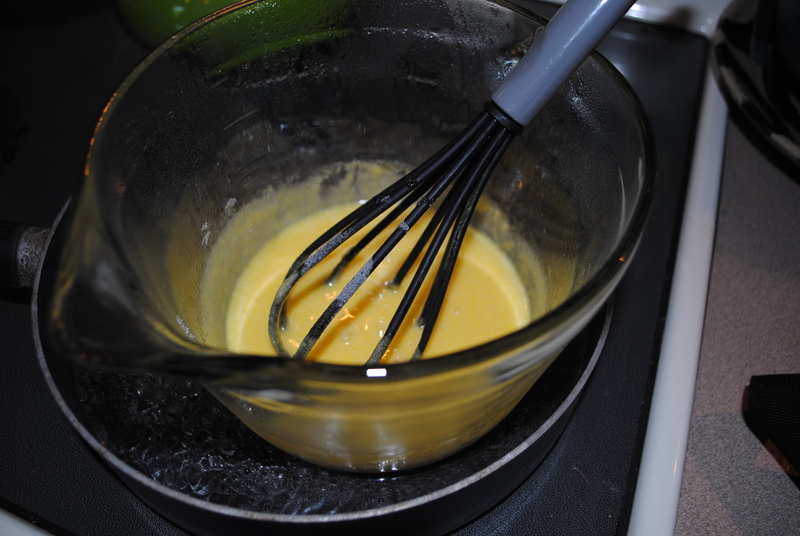 pour 1/2 the marscapone mixture over the lady fingers, spread evenly. 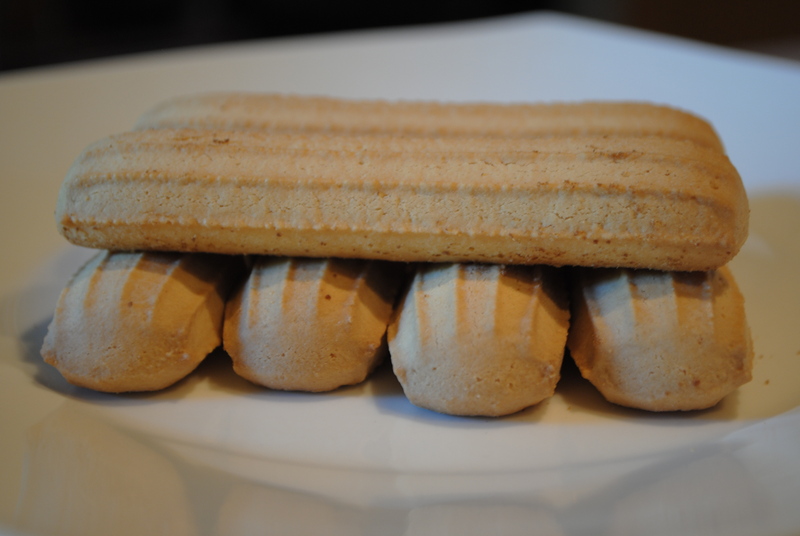 Place second layer of lady fingers perpendicular to the first (see layer construction in photo), then top with remaining marscapone mixture. 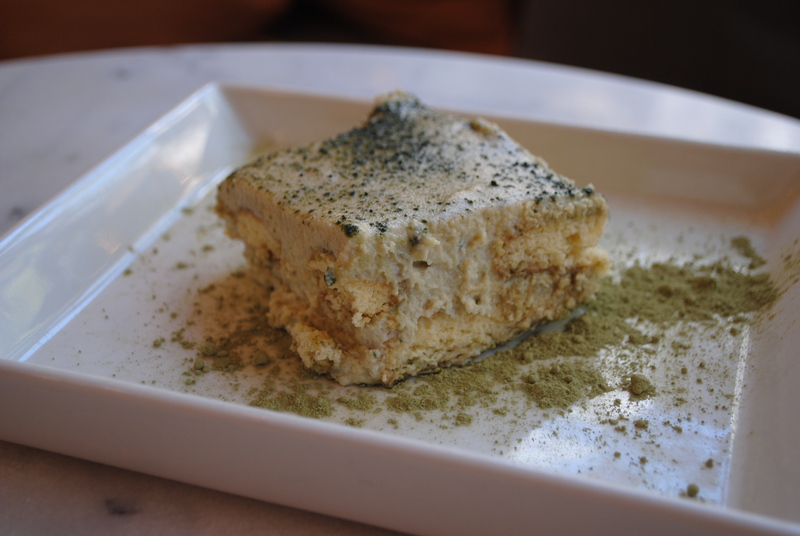 Dust top of cake evenly with remaining tablespoon of matcha. 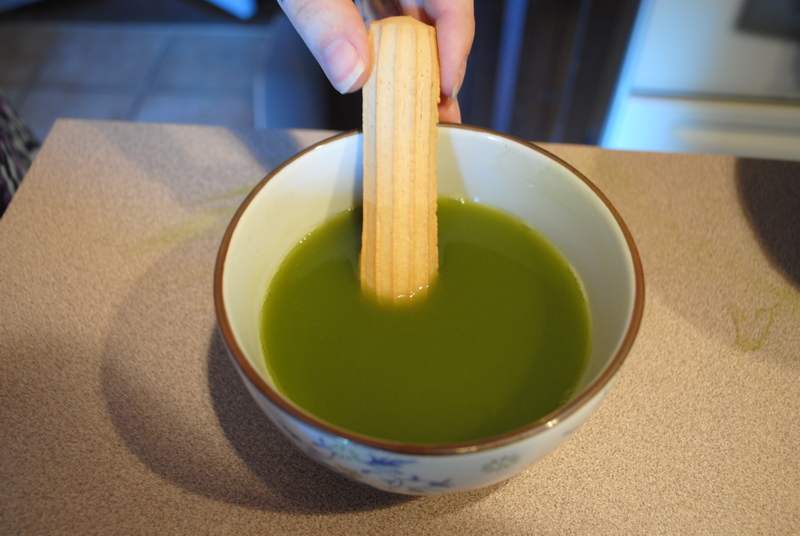 This step really helps make the green tea flavor stand out. Cover the cake and put in fridge overnight before serving.